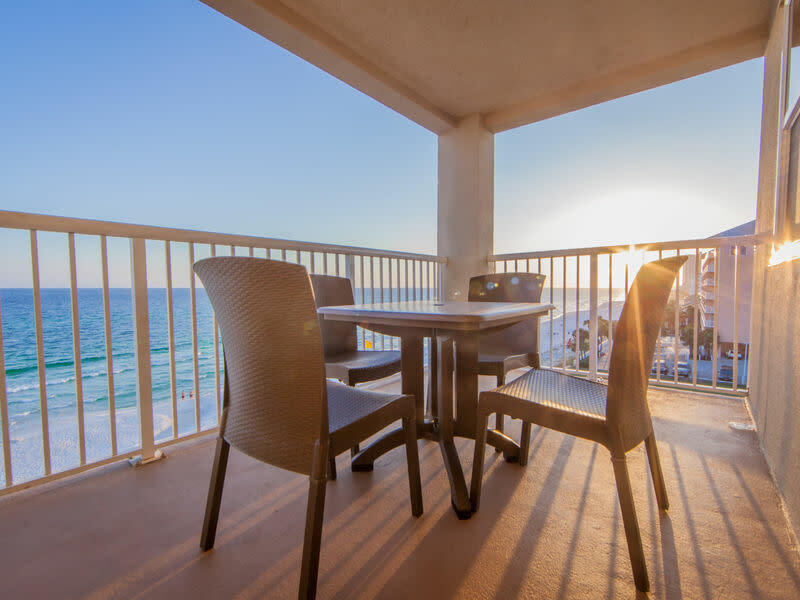 There’s nothing better than a Panama City, Florida beach retreat and no better place for vacation rentals than Holiday Inn Club Vacations® Panama City Beach Resort. 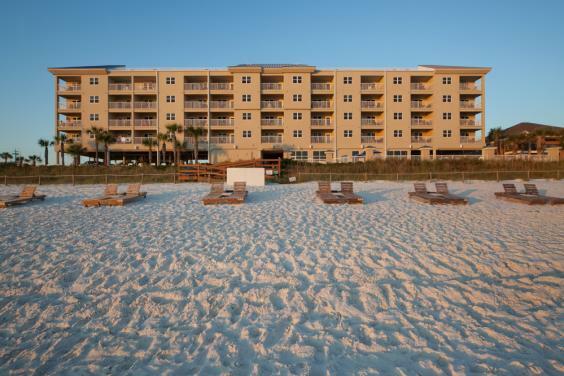 Each of our 1 and 2 bedroom hotel-suite/condo-style villas has a beach view, so you’ll go from sofa to sand in minutes! 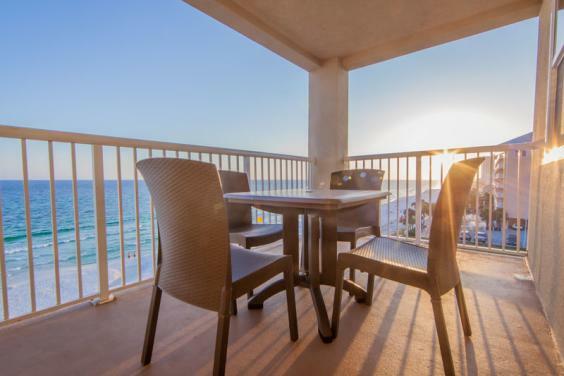 Enjoy spacious accommodations from 708 to 968 square feet with waterfront views overlooking the Florida Gulf and beachfront pool. You’ll love the living room space and in-unit washer/dryer. 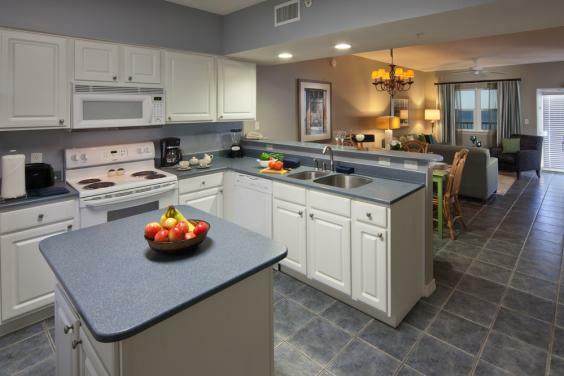 Prepare meals in your fully equipped kitchen and share a family meal at your dining table. Wi-Fi and parking are also free for guests! After spending all morning at the beach, heat up a grill for your own picnic. Guests enjoy our fitness center and at night, drop by our fire pit. We’ll supply the logs, and you bring the s’mores fixings! 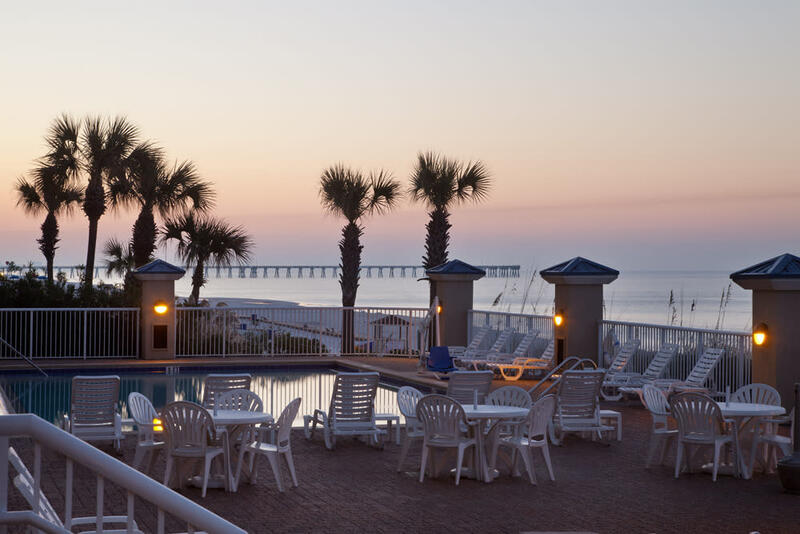 Pier Park, the most popular attraction in the region, is just a short walk away with plenty of shopping, dining, and entertainment offerings for all ages. 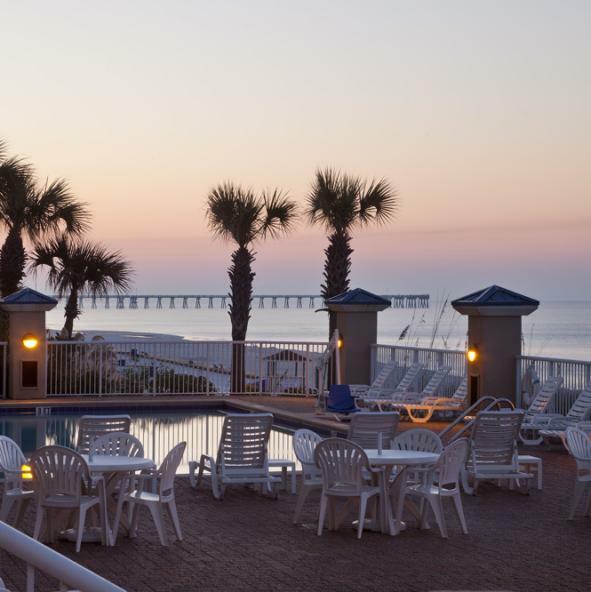 When eating out, you can’t beat Gulf seafood and the wide variety of fantastic restaurants throughout the area. Explore great family activities such as Shipwreck Island Water Park, Sea Dragon Pirate Cruise, and Wonder Works. For extra-special vacation experiences, reserve a spot on a dolphin tour or eco tour to Shell Island. You can even head to Water Planet to swim with dolphins! The Gulf is also known for its prized game fish and the area has charter boat outfits to help you catch one of your own. 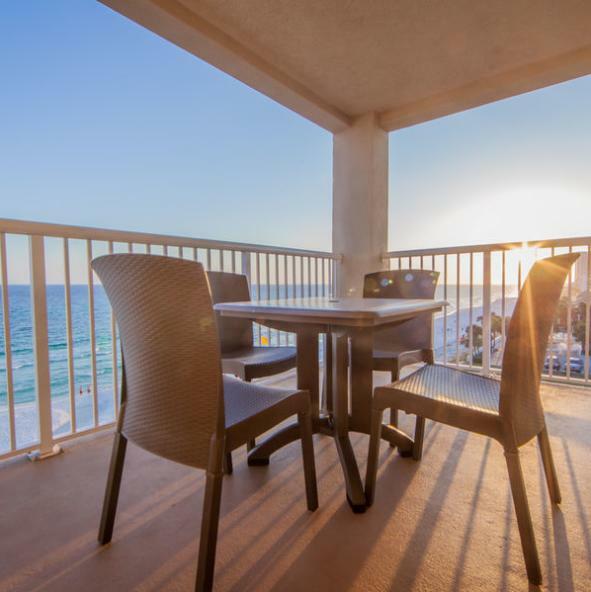 The Destination To Be At for Spring Break! 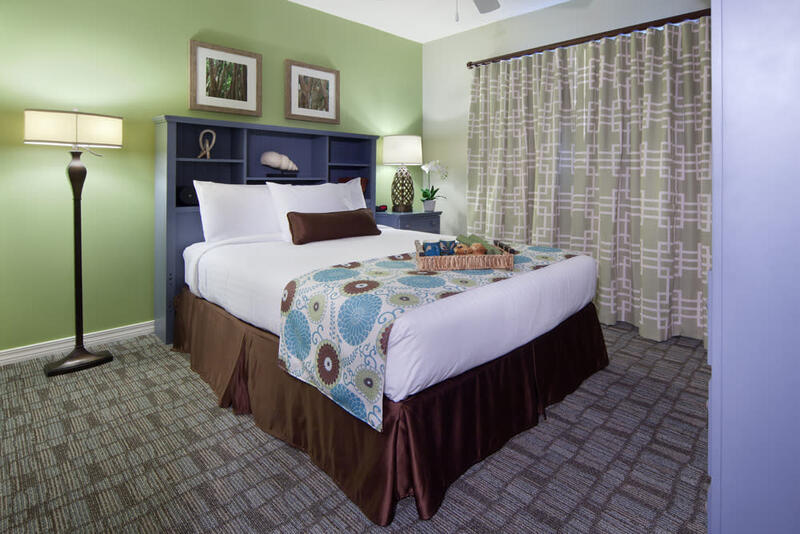 Save 25% with Stay & Play! The Destination To Be At for Spring Break! 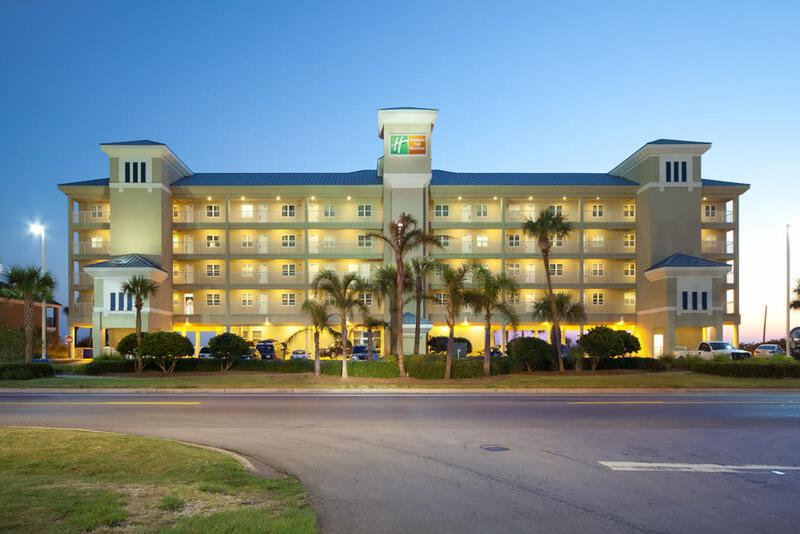 Save up to 10% on your stay!